As a person who has seen the things happening on both sides of the industry, as part of offshore web development and as a customer, one of the most welcome things someone can do for a freelancer is collaborate with them during the process. Are you that client that freelancers love to hate? In the world of web development, there are two types of clients that freelancers are most familiar with. The first one are those clients who are a total pain in the a** and we surely hope that you are not one. Second, are the clients who cooperate with the freelancers and who provide them with wireframes. When we mention the term wireframe, what comes into mind? A wireframe serves something like a skeleton that serves as a framework for websites. What do we mean by wireframe? A wireframe is a graphic layout and design that won’t need any coding, manipulation of images, or even putting down the effort of drawing stuff using pen and paper. Simple as it may sound, wireframes are effective and highly practical tools for any web developer. It gives them an exact picture of what you have in mind and gives them a preview of the scale of the needed details, and important elements you want to be seen on your website. The wireframe is sort of the coding blueprint they might need to have in order to make your website work. By doing so, both of you will save time, money and effort and things will go smoothly as planned. But, I’m not ready for this! If you are intimidated about how complex a wireframe sounds like, don’t sweat too much about it. You don’t have to create a full-scale design each page of the whole website. Just focus on the basics. What is important with a wireframe is that you’re able to map out your desired navigation and the type of layout required for your product pages. Be sure to be able to map out about the number of extra slots needed for article thumbnails as well as other related features. Most wireframes are extremely simple, but it’s still provides enough info for the web developer to get things going. 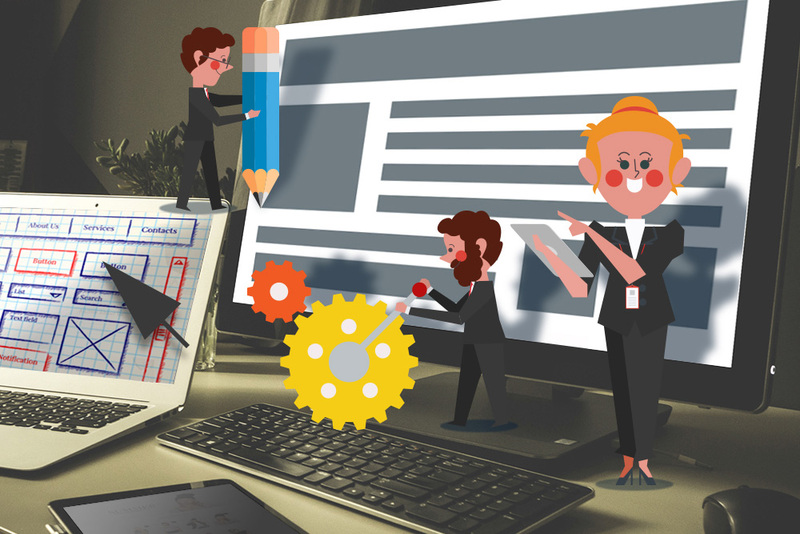 Also, keep in mind that the reason you are hiring a web dev is to assist you in refining your website’s design. The web developer is also there to remind you if there are some concerns with your website concept. Your offshore back office solutions partner will also remind you of modern design standards that will make your page navigation easier. They may help you use wireframe as your pattern for your envisioned website. Wireframing eliminates a huge chunk of the back and forth prototyping phase between you and the developer. The fun thing about wireframes is that they are also quite easy to make, so long as you have a clear purpose or image of the website in mind. To make things easier, there are loads of apps both on iOS and Android available to help you in the planning process. Contrary to how it sounds, wireframing is not really as hard as it seems — or looks. Keep in mind that producing something follows a detailed process. Moving from a sketch, to a wireframe, from a wireframe towards a prototype design to the actual website should be considered as protocol. Also, working closely and collaborating with your developer will take your website project to new heights.